Now move a step ahead in analyzing the test executions with the enhanced reporting. Whether you need an overview on test executions or want to know how test cases with certain tags, requirements and priorities have fared, you can get all this information with graphical support. 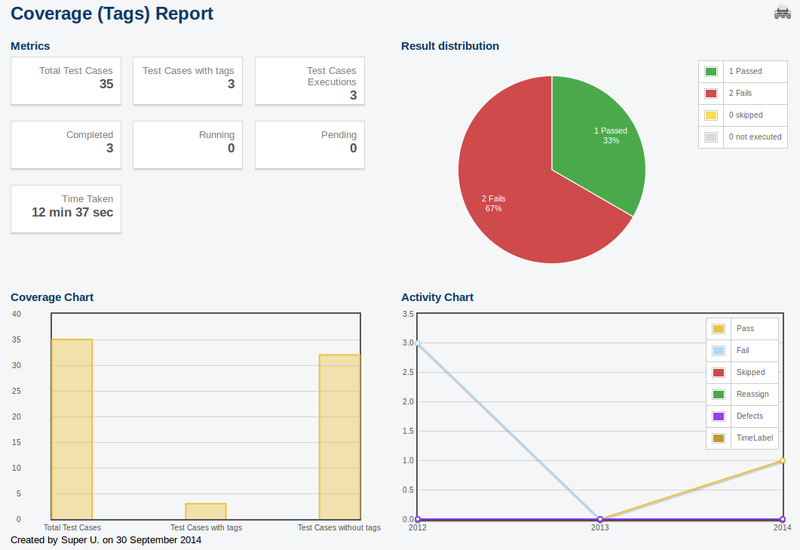 When it comes to taking an overview of one or more test executions, Executions Summary Report comes handy. You simply need to select the test executions you want to have an overview of, and you will be presented with analytical and comprehensive report aided by metrics and graphs. To create an Executions Summary Report, you need to select one or more executions that you want to be covered for analysis. 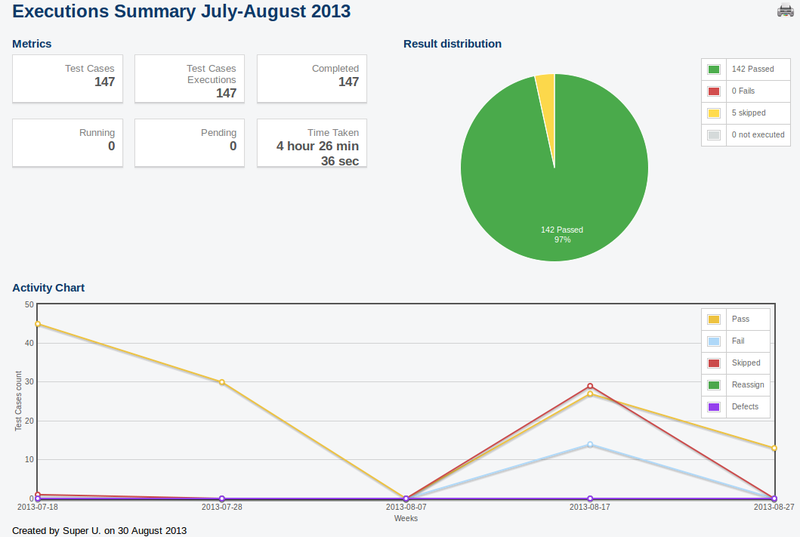 Once a summary report has been created, you can view the same. To analyze how tags, requirements or priorities are covered under different test executions, you can get a coverage report generated. A coverage report can be based on tags or requirements or priorities, and to create a coverage report, you need to specify those tag(s) / or / requirement(s) / or / priorities. In the picture below a coverage report based on tags is being created. After the report is created you can view the same. Every generated report can be printed, for this on the execution view page, you get a printer icon, clicking on the icon will open the print dialog for you, so that you can set the properties for the output you want to take.